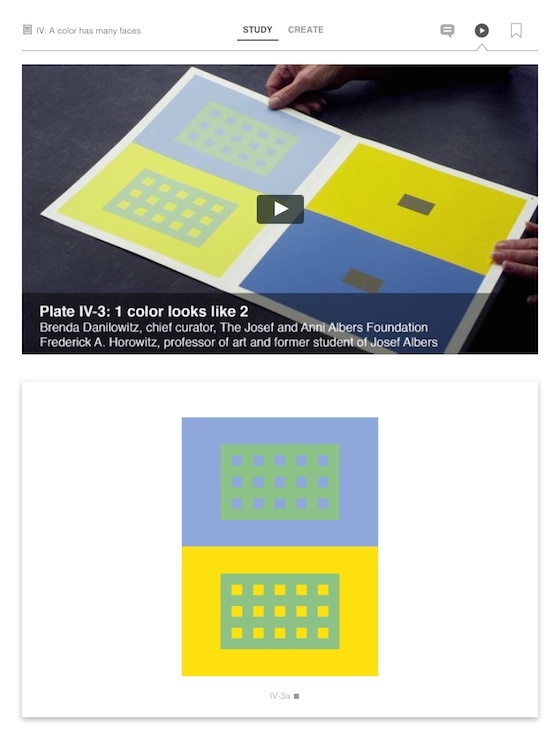 Considered on of the most influential books on color, Josef Albers’s Interaction of Color has become the go-to book for artists, teachers, and students interested in studying complex color theory principles. The original publication was printed in 1963 and contained 150 color plates used to explain and demonstrate the theories. 50 years later, this body of work is being brought to life as an interactive app, the likes of which Albers could have never imagined. 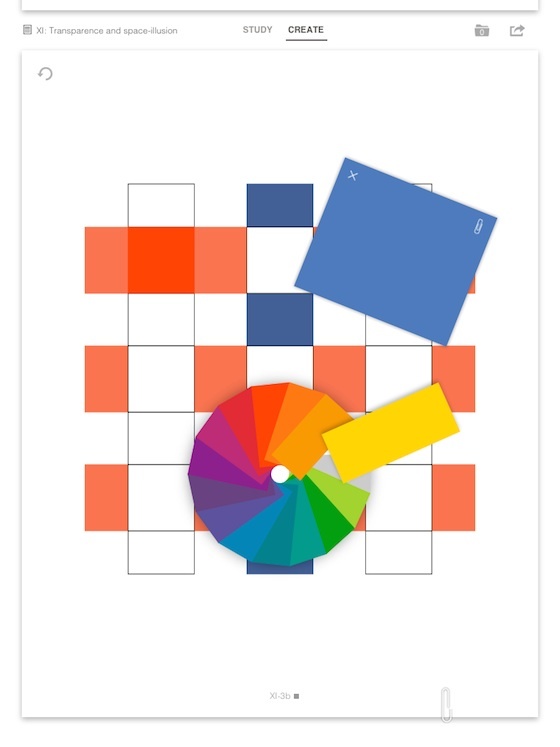 The app, Interaction of Color by Josef Albers, has three elements, the primary being the full text of the book by the same name. A sliding menu on the left hand side of the screen allows for easy access and navigation through all the chapters. There is a bookmark feature, as well as the ability to adjust the size of the font for easy reading. As impressive as the book may be, it only scratches the surface of what can be achieved with this app. 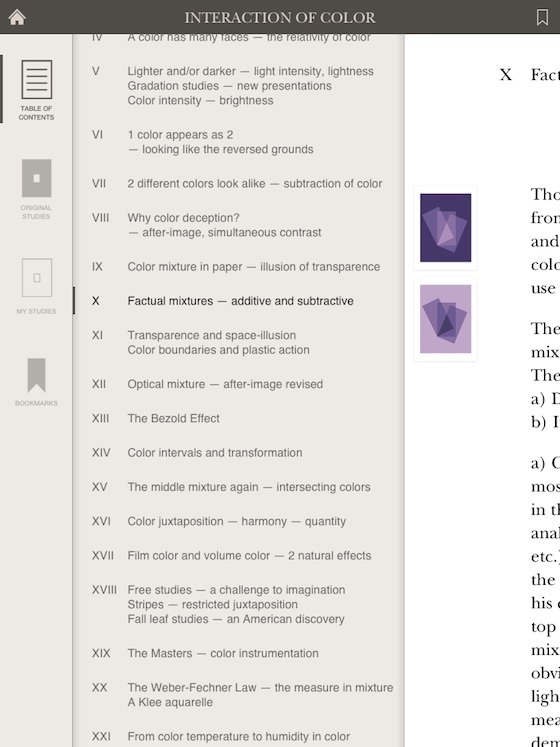 Each chapter contains interactive color studies that can be entirely manipulated by the viewer. With the swipe of a finger, blocks of color can be dragged from one side of the plate and placed next to other blocks of colors. This interaction allows the viewer to not only observe color, but determine the way in which the combinations of colors will be studied. Though reading through the text is advisable, this app also contains a Plates & Commentary section. In this section, the user is able to select the interactive plate of his or her choosing. It also contains video documentary describing the theories behind the plates. The user can watch and listen to the commentary and then interact with the plates based on what was presented. A third section of the app is labeled “My Studies”. 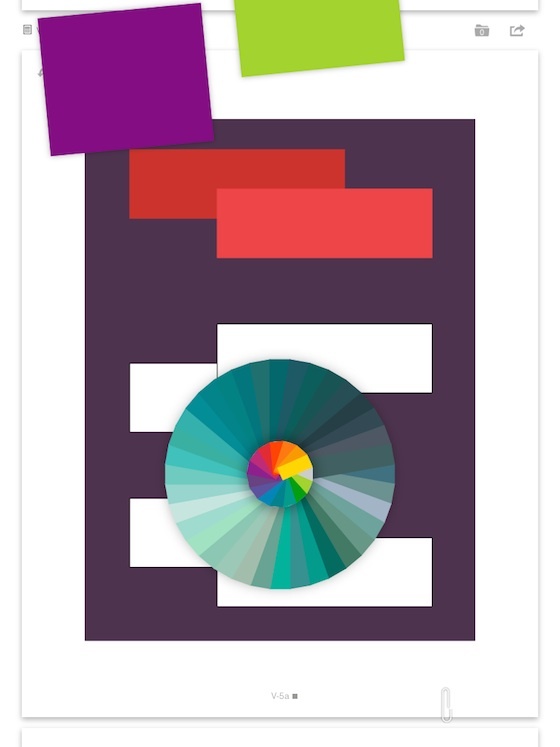 This section is comprised of over 60 interactive plates that allow the user to drag and drop an endless array of color combinations from a color wheel consisting of a seemly endless combinations of tints and shades. If there is a downside to this app, I would say the user interface is less than intuitive. Not that it is difficult to navigate once one understands how to interact with the app, but there is a slight learning curve. I would also point out that this is a serious app. If you are looking for “click candy” this probably isn’t the app for you. However, if you are looking for a deeper understanding of the relationship of colors, prepare to dig in. 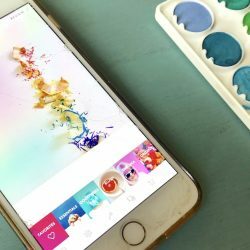 This app definitely has potential uses in the art room. The ultimate situation would be to have this app installed on iPads at a high school that has a 1:1 program. However, practically speaking, opportunities like that will be few and far between. 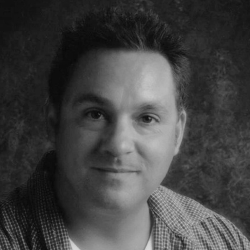 The next best scenario would involve a high school class that has access to the app. In my opinion, the text is written at a collage level, but I do believe an upper level high school art student could be assigned chapters to read and given assignments to complete using the interactive plates. Another option, though it would require some upfront work on the teacher’s behalf, would be to develop a set of lessons based on the text and have the students complete an assignment using the interactive plates. 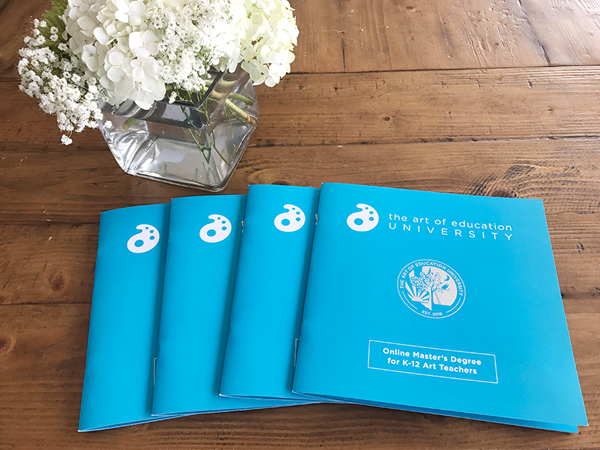 This might be the most practical way to utilize this resource, as the lessons could be scaled to meet the needs of middle schoolers or even elementary level art students. There is a free version available for download that allows access to Chapter 10, along with two interactive plates that include the color wheel as well as the video commentary. The complete version is available for purchase for $13.99. However, from March 19th through March 25th, 2014, you can download the complete version for only $7.99. We’d love to know your thoughts. 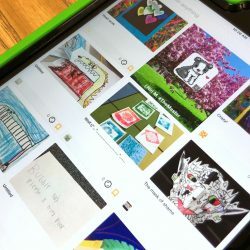 Do you think this app would be beneficial to have for your art room? 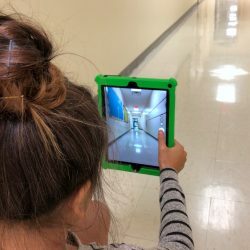 What features seem the most useful in the classroom setting? Thanks for the heads up about the discount! I had seen the app this summer, but didn’t download it. I agree, the language is well above my middle schoolers, but they would have fun playing with the color plates. The color plates are a blast!